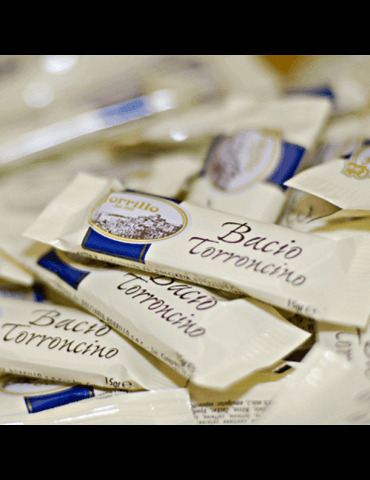 Torroncini Borrillo kisses, produced with quality raw materials. 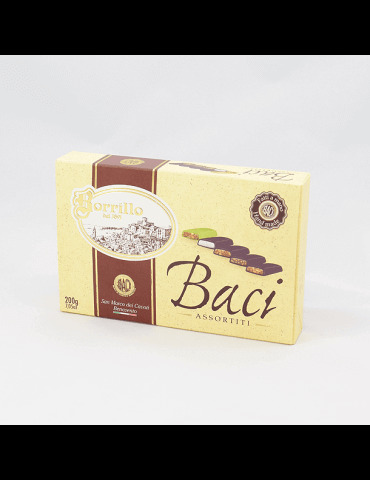 Nougat Baci Borrillo famous throughout the world, born in 1891 from an invention of the Knight Innocenzo Borrillo. Now the Borrillo family has handed down this "precious" recipe to delight everyone's palates. 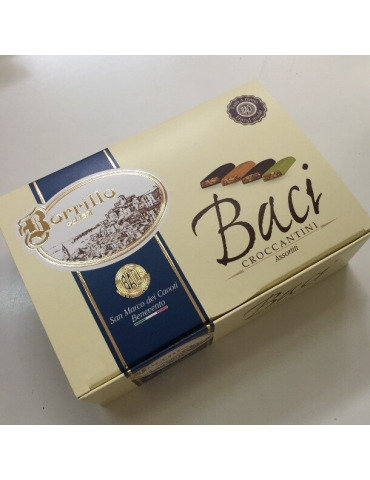 Always made in its original 300 gram package. 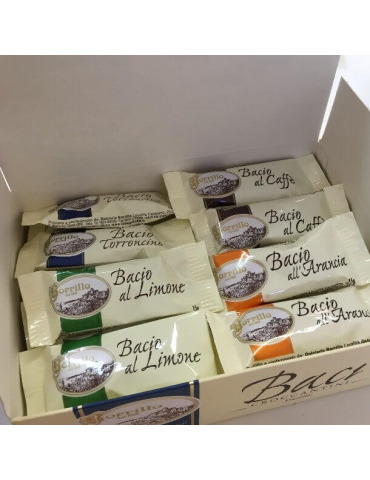 The traditional Nougat is the most requested product for which the company Dolciaria Borrillo wanted to include it in different packages. Exclusive to the IdeaGolosa is the 500 gram pack.